In order to get a divorce in Oklahoma, at least one spouse must have lived in the state for six months or more prior to filing. A divorce is initiated when a petition for dissolution of marriage is filed in the district court of the county where at least one spouse lived for the prior 30 days. After filing, the court will serve the paperwork on your spouse, meaning the petition will be delivered to your spouse by a sheriff or other appointed officer. After your spouse receives the petition, he has 20 days to file an answer, providing his responses to your allegations in the petition. If your spouse does not respond to the divorce petition within 20 days, you may seek a default divorce by filing a motion for default. 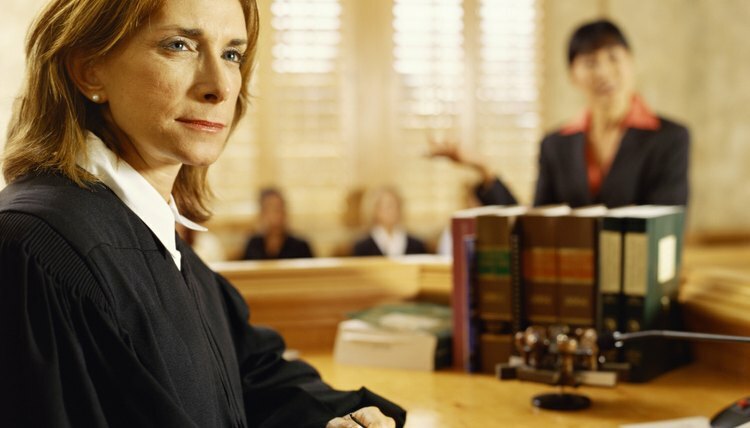 The court will schedule a hearing and if your spouse does not show up, the court may award a default divorce. In the case of default, the court will dissolve the marriage and decide the terms of the divorce, including custody and property division, based solely on the petition and testimony provided by the spouse who initiated the case. The defaulting spouse may later ask the court to vacate the judgment, meaning the divorce decree will no longer be valid, if he can demonstrate that he was not properly notified about the divorce or the default hearing. If your spouse responds to the divorce petition, Oklahoma law imposes a waiting period before a divorce may be finalized. Generally, if your spouse files an answer and you have minor children, you must wait 90 days before the court will finalize the divorce. On the other hand, if you and your spouse do not have children and you agree to the divorce and terms of the divorce, such as alimony and property division, you may obtain a divorce decree in 10 days. For the quickest divorce decree, your spouse must also waive his right to service, meaning the petition will not be officially delivered to him by a sheriff. In either scenario, once the divorce decree is entered, your marriage is officially dissolved. However, you must wait at least six months before remarrying or cohabiting in Oklahoma. In some cases, if circumstances have changed since the court entered the divorce decree, you may ask the court to modify the terms of the decree. You may initiate the request by filing a motion for modification with the same court that issued the original decree. Except in rare circumstances, you cannot modify the property division portion of the decree. However, you may be able to change support orders if the need or ability to pay for support has changed, which may occur if one spouse loses a job, for example. Further, in order to change the custody portion of the decree, you must have evidence that circumstances have substantially changed and it would be in the child's best interest to modify the custody arrangement.